Sophia loved to listen to her son, Jeffrey, play guitar when he would visit her in San Diego. She was very proud of every new song and lick he would learn. In addition to being able to brag about her brilliant son, the attorney, she would also talk about his love and appreciate for music – something he shared in common with his mother, Sophia. I love the writing on the chalkboard – it looks like chalk – not watercolor paint, and and the knee-high socks add a fun feeling of youth. 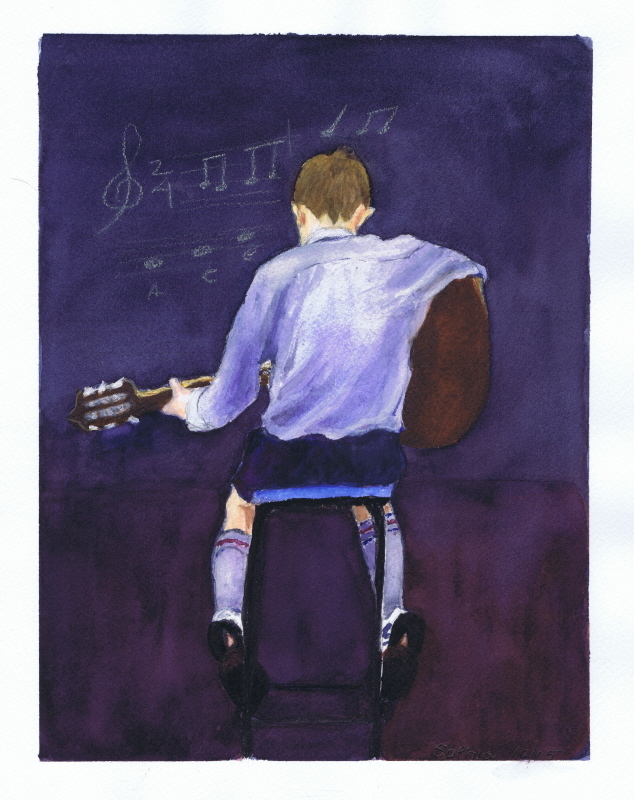 In 2003, Sophia had previously painted a portrait of her grandson, Clint, playing guitar.